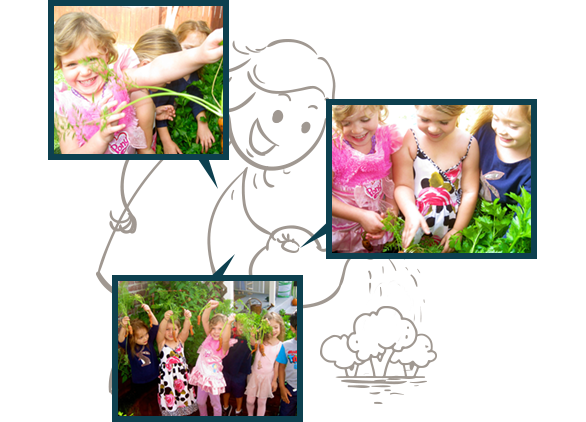 Our kids take immense pride in planting, watering & harvesting a plethora of healthy fruits and vegetables. Our ‘garden to table’ food makes its way into snack & lunch as often as possible. Being an active participant in the growing process makes children excited to try new, healthy foods.